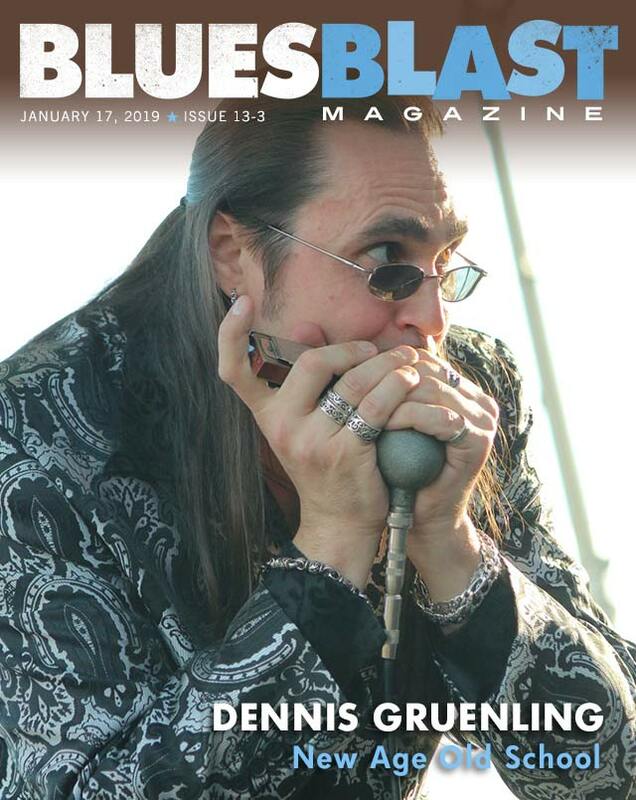 From the moment Dennis Gruenling hits the stage, you know that you’re in for something special – not only for a trademark look that sets him off from the crowd, but for the stylish and hypnotic way he lures you in with his skill on the harmonica. Now a featured member of Chicago-based Nick Moss’ band, Gruenling doesn’t need the lofty backing to prove his worth. He was a star in making when he emerged from central New Jersey in the mid-‘90s, and every step he’s taken since have proven those expectations true. 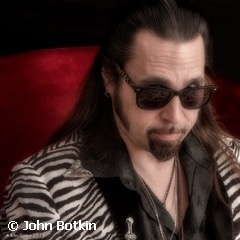 In the current state of affairs in the world of modern blues, Dennis is a welcome anachronism, hitting on all cylinders as he seamlessly packages music from differing eras, frequently delving into bygone eras for his material, but always delivering it with a touch that’s guaranteed to remain fresh for future generations. 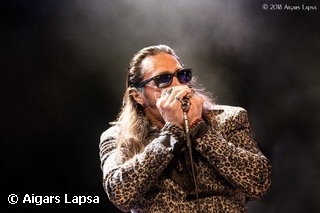 A 2019 Blues Music Awards nominee for harmonica player of the year, his act includes everything from 1940s jump and swing to post-War Chicago blues and much, much more. His delivery is flawless – both in seeming effortlessness and in its faithfulness to sounds of the past. But don’t be fooled. He’s a thoroughly modern innovator whose skill level bridges space and time. He’s a New Age soul and music educator with feet planted firmly in both the past and the future, a man whose passion is restoring antique crystal-element microphones and who also has harmonica skills that combine traditional tongue-blocking and overblow techniques in a manner that goes undetected, could forever influence the way the instrument is played. A strong vocalist who’s equally proficient on diatonic and chromatic harps, Gruenling’s a pacesetter with a distinctive look that immediately sets him apart from the crowd. Dressed in a tasteful mix of animal prints, paisley and leather and wearing sharply pointed shoes with straight, shoulder-length black hair and small oval shades, he cuts a dashing figure. Some of his friends jokingly compare his look to that of Count Dracula. He’s also a devout vegetarian who, unlike the Dark Lord, maintains his center and renews himself through Transcendental Meditation. His life changed forever in his late teens when he and a beloved family friend, known as Uncle Dave, exchanged gifts at Christmas. A multi-instrumentalist and blues lover himself, Dave gave Dennis his first harp. As significant as that proved to be, the gift Dennis gave in return – a copy of the 1990 Alligator LP Harp Attack — was just as important. Still considered essential listening today, it was a groundbreaking release that featured four of the best blues harp players in the world — James Cotton, Junior Wells, Billy Branch and Carey Bell – at the height of their game trading licks and cutting heads throughout. “I made him play the record for me, and I was completely blown away,” Dennis says today. “Until that point, I’d never heard any real blues players or, for that matter, any blues in general. “I saw James Cotton and John Hammond in the same year,” he recalls. “And not long after that, Rod Piazza and William Clarke. Hammond was the first real bluesman I ever saw, and I was just blown away by his playing and the whole force of nature that John Hammond is. With Cotton, his sound knocked me out. And he was listening tirelessly as he began building his own collection of blues harp albums. It started with Wells, Cotton, Little Walter Jacobs, Big Walter Horton and George “Harmonica” Smith – soon followed by Sonny Boy Williamson and Little Walter. Basically self-taught, Gruenling worked diligently to teach himself how to play. Like all newbies, first he studied the basic instructions that accompany the instrument in its box, then, in the era just before the birth of digital music, sat beside his phonograph, repeatedly playing cuts and playing along until what he was doing sounded right. He also tried to pick up tips from more accomplished players when he could. 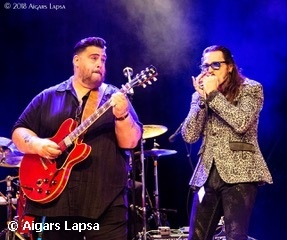 An avid instructor today who’s been honored three times by Canada’s Real Blues Magazine as its harmonica player of the year, Dennis inherently knew at a young age that, in blues, all roads to the future lead from the past. The aural footprint is clear. A genuine pioneer in country blues beginning in the ’30s, Sonny Boy Williamson’s innovation influenced all artists who came after him, and Little Walter and Rice Miller, a.k.a. Sonny Boy II, expanded the boundaries by electrifying and urbanizing the blues in the ‘50s and ‘60s. But the harp is a difficult mistress. It’s both tough to teach and difficult to master because all of the action is hidden – behind the hands, inside the mouth and through the action of the diaphragm and lungs. Everyone starts playing the instrument the same way: By pursing the lips and blowing and drawing on the reeds. The key to advancement comes through mastery of a technique — known as tongue blocking – that involves moving the instrument as far back in the mouth as possible, laying the tongue on the comb and using it to obstruct air from the covered holes while directing it past the side of the tongue and into the desired target. Reed-bending skills provide even further advancement. By dropping the position of the jaw, the player alters the way air passes across the reed, slightly lowering the pitch of draws and elevating blows. Proficient benders can bend as many as three more notes from a single reed, thereby creating the rich, varied tones that skilled blues players are known for today. In pursuit of his muse, Gruenling dropped out of school and moved to New Orleans in 1993. “That was a big turning point,” he says. “I wasn’t really that good back then, but I really wanted to come back home with something to show. I spent a lot of my time just locking myself into the apartment and practicing, playing along to records eight, ten, 12 hours a day. Gruenling learned how to tongue block about a year after he started playing. “When I realized what a difference it makes, I slowly transitioned to doing it for just about everything,” he says. He returned to New Jersey after eight months a changed player, and was still underage when he started working with local bands. Playing in New Brunswick and the surrounding area, his work sometimes involved backing visiting blues royalty, including Snooky Pryor, Homesick James and Pinetop Perkins. He formed his first band, Dennis Gruenling And Jump Time, in 1998. A six- or seven-piece group with a revolving lineup, it was formed with musicians handpicked from other bands and primarily played boogie-woogie and jump blues. At different times, its lineup included two future jazz stars — sax player Joel Frahm and the late clarinetist Kenny Davern. When the big band wasn’t gigging, Dennis played straight-ahead, Chicago-style blues in a smaller unit that utilized some of the same personnel. Jump Time made their recording debut in 1999 with a self-titled album on Gruenling’s Back Bender Records. Two more releases followed before they disbanded in the mid-2000s. It simply proved too difficult to secure enough gigs to keep a large band working enough to keep food on the table. For almost 15 years, ending when he recently relocated to Los Angeles, Gruenling hosted a popular weekly radio show on WFDU-FM in Teaneck, N.J., about an hour north of home. The signal reached a large portion of the greater New York metropolitan area with a mix of blues, jump, swing and more. In later years, he reached a broader audience by simulcasting the show on Facebook. During that period, Dennis was as first-call musician who worked an interesting mix of artists, including a young Dave Gross and Gina Sicilia, Peter Karp, the Atlanta-based emo-pop band Cartel – you might remember them from the MTV mini-series Band In A Bubble – and former Savoy Brown and Commander Cody guitarist David Malachowski. Gruenling reunited in the studio again with Jump Time in 2008 when he decided to record an album honoring Little Walter. Entitled I Just Keep Lovin’ Him, it featured Dennis backed by Jump Time for a few cuts. It also included the talents of Guyger, Wilson, Estrin and West Coast guitar legend Rusty Zinn. Dennis’ longtime relationship with guitarist Doug Deming and The Jewel Tones began about the time the album was released. Originally from Detroit, now based out of Florida, Deming shares similar musical tastes and has much of his career working with harmonica players, among them Kim Wilson, Lazy Lester, Gary Primich, Greg “Fingers” Taylor and Madison Slim. They met for the first time when Dennis drove to Michigan a week later. After a handshake, they packed and left town, quickly finding that their styles fit together well. They hooked up again shortly thereafter when Gruenling launched a tour to promote the Little Walter album. In subsequent months, they met up for more tours before finally deciding to make the relationship more permanent. As Doug Deming And The Jewel Tones Featuring Dennis Gruenling, they remained together for seven years, releasing two well-received CDs and, using the same basic lineup, solo albums under their own names. The timing of their break-up couldn’t have been more fortuitous. Like Dennis and Doug, Nick Moss was going through a change, too. Mike Ledbetter was leaving his band after a lengthy apprenticeship to begin a new musical adventure with Monster Mike Welch. Their friendship developed quickly and grew stronger over the years as Gruenling joined Moss for occasional East Coast tours and also lent a hand in securing gigs in New Jersey. They jammed together at festivals whenever the opportunity presented itself. It wasn’t long after that night before they agreed it they should do it full time, a natural decision because their musical tastes are so similar. For Gruenling, what makes it even more enjoyable is to be working with Nick’s keyboard player Taylor Streiff and drummer Patrick Seals, two truly young players he admired from a distance before, but guys he appreciates even more now that he’s on stage with them nightly. Their relationship is already paying dividends. 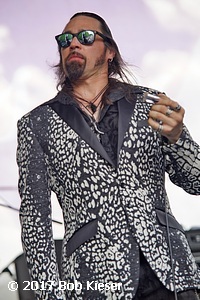 Billed as the Nick Moss Band Featuring Dennis Gruenling, their first album together, The High Cost Of Low Living on Alligator, was a Blues Blast Music Awards nominee in the traditional album category, is a 2019 BMA nominee for both traditional album and album of the year and should be a strong contender for other prizes as the year unfolds. And they’re already working on a follow-up, which was recorded in early January at Kid Andersen’s Greaseland Studios in California. Away from the stage, Gruenling remains very active as a harmonica instructor. He appears at workshops across the U.S. and teaches both in person and through use of the internet. And he markets crystal microphones around the globe, too. He fell in love with them early in his career, but it quickly developed into far more. “When I started, I was drooling over all these old vintage microphones,” he says. “I was playing a newer one, and it wasn’t great, but it was getting the job done. Then a friend sold me a vintage mike. It looked cool, but didn’t sound great and wasn’t working well. And he maintains an inventory of new, old stock. He reconditions old mikes both for his own collection and to make them available to fellow musicians, fans and collectors around the world. He’s been doing it for more than 20 years now, and doesn’t sell anything he wouldn’t use himself. His customers include players of all skill levels and include some of the biggest names in the business. Dennis’ work as an instructor came about pretty much by accident, too. “It happened when I was down in New Orleans,” he says. “A buddy that I was taking lessons from actually called me up to teach one of his students. I started teaching long distance over the phone and through the mail. That wound up working well, and it grew from there. As a teacher, he says, he can’t help but do a double-take when he views young musicians posting videos online as they teach themselves tunes today. “I’m not going to say anything negative about them,” he says, “because I see some really good young players out there, and it’s all part of the process. For social interaction, support, encouragement and all of that, that’s cool and can be fun and inspiring. “But some of them post clips of themselves practicing and learning things note for note, some of them thinking that they’re the new thing or, even worse, have some viewers thinking they’re the next new musician ‘on the scene’ when they’re just practicing in their bedroom doing homework. “For me – and every other great player that I look up to – that was just a necessary part of the journey. All of that has to happen way before you develop your own style and voice on your instrument. I would have never posted that stuff, but that’s just me. It was just a step in learning my craft. It’s both a blessing and a curse, Gruenling says, because the overall sound of the music has lost its regional feel. “Today, everything is online,” he notes. “But when it started it was all based on geographical locations. You had Chicago blues, Delta blues. There was Piedmont stuff, Texas stuff. And a lot of it was separated geographically because, if you lived in a certain area, you were influenced by certain things around you. That’s what made your style. “Nowadays, especially because of technology, somebody can put out a song in Timbuktu and somebody in Australia or New Jersey or Antarctica will hear it almost immediately because of the internet. The geographical boundaries that used to separate one style from another don’t exist anymore. Pigeonholing artists into a category – traditional, modern or whatever – is an issue, too. “People like to label me as ‘traditional,’” Gruenling says. “But I don’t see it that way at all. A lot of the old-school guys don’t know what to do with me because I don’t do everything old-school. 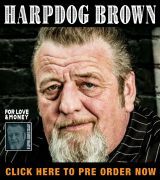 The boundaries keep changing with each passing generation, he says, noting that, in the current era, most folks consider Little Walter to be a traditionalist. In truth, however, in his lifetime, he was considered to be avant garde – not unlike Miles Davis in the jazz world — someone stretching the boundaries in ways the music had never gone before. Those advancements continue into the 21st Century through the extraordinary tongue-blocking and reed-bending skills of Sugar Blue, the advancement of overblows by Jason Ricci and the work of others – including Gruenling himself. Although casual listeners might not recognize Dennis to be an innovator himself, he is making his own contribution, albeit subtly. He’s merging tongue-blocking and overblow into an attack that might trick you into believing he’s dyed in the same wool as his forebears. But he’s been practicing the technique since his very first record. “I guess you could say I’m approaching it in a new style, a new way on the instrument,” he says. “All it means is that I can play those missing notes (the tones not built naturally into a diatonic harmonica and not available by normal ‘bending’) and I can execute them tongue-blocked. “I’ve been doing it since the ‘90s. And I guess it was a new thing back then. Other guys might have been doing it. 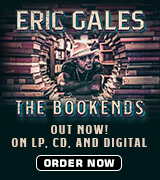 I might have been the first blues guy to do it on a record. I just see it as a means to an end – another tool in my arsenal that enables me to play what I want. Whether it’s a bend or a draw note, an overbend or overdraw, I just try to play it musically. Simply wanting to use the technique just to do it is the polar opposite of what I’m trying to do. He’s so proficient at it that even folks with trained ears find it difficult to distinguish. 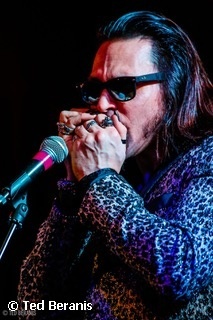 Learn more about Dennis Gruenling, pick up his music, take harmonica lessons or acquire one of his vintage microphones at his website – www.BadAssHarmonica.com – and be sure to check out more info about the Nick Moss Band at www.nickmossband.com.